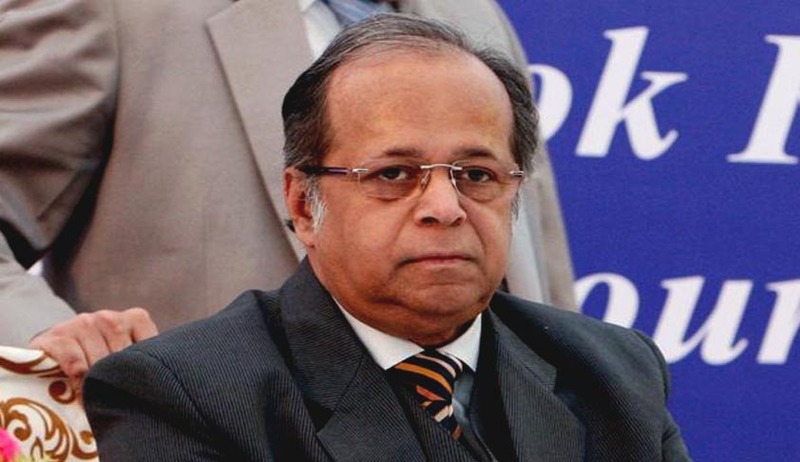 Additional Solicitor General, Indira Jaisingh who wrote a letter to the Prime Minister for initiating action for removal of Justice A K Ganguly as the chairman of WBHRC revealed the important portions of the affidavit given by the victim in the sexual harassment case before the Supreme Court panel. "When I reached the suite, there were two other persons apart from the judge present there. I was told by the judge that the man was associated with the AIFF (All India Football Federation). The woman was a stenographer. The judge then informed me that the AIFF report had to be submitted the next morning, and asked me to stay at the hotel and work all night. I declined and told him that I had to finish the work quickly, and return to the PG accommodation. "However, he ignored my repeated protests and asked the AIFF man to enquire whether a room could be booked for me at the same hotel. The AIFF man said that this may not be possible, but upon the insistence of the judge, agreed to consult his superior on the matter. Thereafter, the AIFF man and the woman stenographer left the suite. "I told the judge that the internet was not working. I asked the judge whether I was at all needed as there was no internet connection, and hence I could not do any web-based research. "At this point, the judge apologised for spoiling my Christmas Eve, and asked me if it was customary in Christian families to drink wine during Christmas. I mumbled yes. He then took out a bottle of red wine, which he said was compliments of the hotel. He also said that since I had had a long day, I should go into his bedroom and relax while drinking some wine." "I felt uneasy, unsettled and disturbed by this suggestion of the judge, and told him that all I wanted to do was to complete the work as soon as possible and return to my PG at the earliest. He, however, brought out a bottle of red wine and handed me a glass. Feeling awkward and unsure, I accepted. This kind of interaction with the judge had never taken place in Kolkata during the period that we worked as RAs (research assistants) with the judge for six months. By now, I was beginning to feel extremely uncomfortable and wanted to leave the place as soon as possible. The judge persisted in making small talk, but I concentrated on completing the typing. I also asked him to arrange transport for me to return to my PG as I wanted to leave at the earliest. During this time, the judge was making some calls, asking for a room to be booked in the same hotel for me. Even as he was making these calls, I categorically refused to stay in a room in the hotel, and insisted that I needed to return to my PG accommodation. I was startled by the arrangements the judge was seeking to make for me, although he had not mentioned any of this to me when he had called me up. I began to feel more and more tense. The judge kept ignoring my protests and then informed me that it may not be possible to have a separate room arranged for me, and asked me if I would stay in the same room with him to help him finish the report." "I was shocked and taken aback by this suggestion, and I categorically informed him that it was highly inappropriate for him to make such a request. Sensing my agitation, he then said that he would make arrangements for transport to take me back. During this period, the judge had not only quickly consumed few glasses of wine, but had also taken out a bottle of Bacardi white rum and taken a few drinks of rum as well. I had, however, taken barely a few sips of the wine, although the judge was repeatedly asking me to finish my glass so that he could refill it. At this time, the judge again tried to persuade me to stay in his room, stating that he would not be able to finish compiling the report on his own, and he would guide me how to compile the same. Again, I declined." "At approximately 10 pm, dinner, which had been ordered in the meanwhile by the judge, was served in the room... I moved from the round table where I was working, and seated myself on the long sofa... After I had sat down, the judge came and sat next to me on the same sofa. Both the judge and I started eating. During the dinner, the judge put his hand on my back and thanked me for agreeing to help him. I moved away, clearly indicating to the judge that this physical contact was unwelcome and not proper behaviour on his part. However, the judge did not remove his hand from my back, and then moved forward to embrace me. I no longer felt safe and was extremely suspicious of his intentions. I therefore immediately moved to the single sofa on my left to be out of his physical reach." "Soon afterwards, I left my meal, returned to the round table and pretended to continue the work, while I anxiously waited for the car. By now I was feeling threatened. At this point, the judge approached me and, standing next to me, he put his hand on my head, and said, 'You are very beautiful'. I immediately rose from my seat, but before I had a chance to respond to the statement, he caught hold of my arm, saying, 'You know that I'm attracted to you, don't you? You must be thinking, what, this old man is getting drunk and saying such things. But I really like you, I love you'. When I tried to move away, he kissed my arm and repeated that he loved me." "I pushed him away stating that I had to leave immediately. By now it was crystal clear to me that the preceding events were not innocuous in nature, and that he was making unwelcome sexual advances. I quickly picked up my computer and bag, and left the room to take the elevator down. The judge followed me into the elevator, repeatedly saying, 'Please don't go', 'Did I make you uncomfortable? ', 'Please don't leave me, I need your help right now', and said that the AIFF report needed to be finished. I did not answer the judge anymore. The judge had followed me to the reception. As no car was available, the judge called someone from his cellphone. Soon another man joined us, and I was informed that he was a senior member of the AIFF. The judge informed him that no transport seemed to have been arranged for me, and asked him to handle the matter. When the judge was standing alone with me in the reception, he again repeated his previous words, asking me not to leave and to help him finish the work. I did not respond to him. “I left the hotel at around 10.30 pm. After the car arrived, I returned in it to the PG where I was staying. After reaching the PG, I received a call from the judge asking if I had reached. I curtly said yes and disconnected the call immediately." "The next morning, I sent an SMS to the judge stating that given the incidents of the previous night, I felt that I could no longer continue to work under him. The message was sent at approximately 9 am, on 25th December 2012. Thereupon, the judge pestered me with innumerable calls through the morning. However, I did not answer any of his calls. The judge also sent me a text message apologising for the previous night, and requested that I converse with him for five minutes. I did not respond to this message, and the judge continued calling me several times. I did not answer any of his calls."